Design Student, Vicci Fu shares her experience of Three UK’s Reimagined Learning programme and how it has supported her development, both personally and professionally. So, what is Reimagined Learning? Reimagined Learning is a training programme for Three employees and university students to collaborate and develop the ability to engage any audience and work with individuals from across the business. 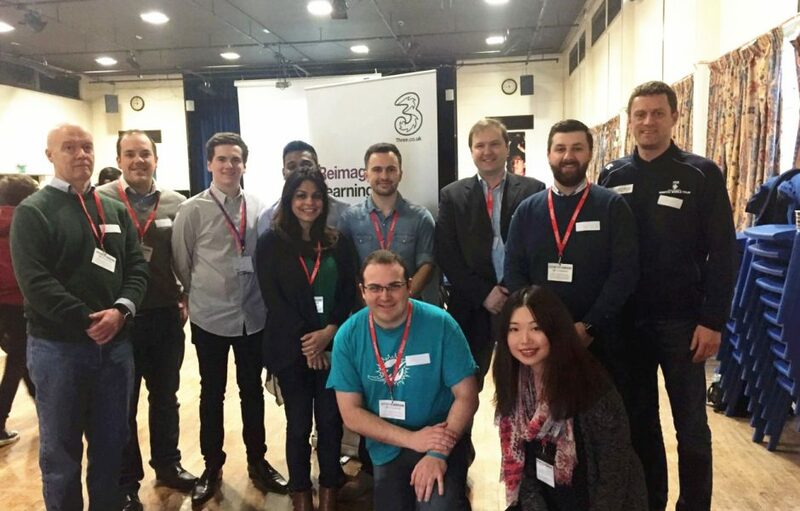 As part of the experience, participants put their skills to the test by bringing the mobile network industry to life for the next generation. I first learned about this opportunity through the University’s Careers Network placement and internship bulletin. I signed up for a mobile insight day with Three in Maidenhead and I won a place on the training programme after submitting an application outlining my skills, experiences and motivation to participate. The three day programme started with a training day where I was assigned to a team and tasked with designing an activity to inspire different career options for college students. On day two I went into a college and delivered the activity. On the last day, I teamed up with other students from the programme to present to the senior management team what we had learned on the programme. The programme exceeded my expectations and it is fair to say that I developed more skills than I had ever imagined! I benefitted from insightful lectures about how to design and deliver a presentation and I picked up a number of useful tips which are likely to help me as I will soon be applying for jobs and doing interviews where I may have to present to a panel. The programme also gave me the chance to visit high schools and colleges and learn a little bit about the UK education system. Above all, the programme helped to boost my confidence in presenting and public speaking. I am a fairly shy person, and with English as my second language, I sometimes find it daunting when talking to people. I received a lot of support from my tutor, My Kinda Future, team mates, Three and other university students. I was encouraged to participate and engage as much as possible, and eventually got over the fear of speaking imperfect English in front of native speakers. Three is one of the most advanced mobile networks in the world and linking with them will certainly boost your CV and impress employers. The program also gives you the chance to visit their headquarters and network with employees from different department. Compared to other internships and part-time work, the program involves three intensive training and delivery days and doesn’t get in the way of your studies.It’s free! Not only is the programme free, all travel costs are expensed. Three even give you a free lunch on the training days! All in all, I really enjoyed the experience and I hope my blog can help to inspire more students – especially International students who have very little work experience, or simply want to get a boost by doing something positive and fun. There are tons of opportunities out there. Be brave and give them a try.